For more check out our full Fujifilm X-E2 review. Fujifilm has updated it premium interchangeable lens camera lineup with the new X-E2, the successor to the X-E1. This upgraded camera retains a similar styling, but it now features Fujifilm’s X-Trans CMOS II APS-C sensor and a high-speed hybrid autofocus system with phase detection on the inside, as well as Wi-Fi. Fujifilm is so confident of this new camera that it says it delivers quality that rivals full-frame cameras and has the fastest autofocus speed in its category. The 16.3-megapixel X-E2 is equipped with the X-Trans CMOS II sensor that Fujifilm unveiled earlier this year. Like the previous X-Trans CMOS, the new sensor doesn’t utilize an optical low pass (anti aliasing) filter (so that light can reach directly and effectively to the surface of sensor, which would maximize resolution and improve noise reduction) to enhance the picture quality. To compensate, a proprietary color filter array controls the moire and false color generation through highly randomized pixel arrangement. Together with the faster EXR Processor II and a lens modulation optimizer, the sensor produces strong image quality and faster performance. It has a burst mode of 7 frames per second, startup time of 0.5 seconds, and shutter lag of 0.05 seconds. To get a sense of how well these components work, check out our review of the X100S, a DT Editor’s Choice camera. One of the issues with the X-E1, which uses a contrast detection autofocus system, was that it didn’t seem as fast as advertised. With the new hybrid autofocus system with phase detection, autofocus speed has been improved significantly – 0.08 seconds. As we mentioned in our review of the X100S, which uses the same components, the camera grabs focus very quickly and we never encountered focusing issues, regardless of the scene. Judging from our experience, we predict this will be the case with the X-E2. In manual mode, Fujifilm has included features to help with focusing, such as focus peaking. 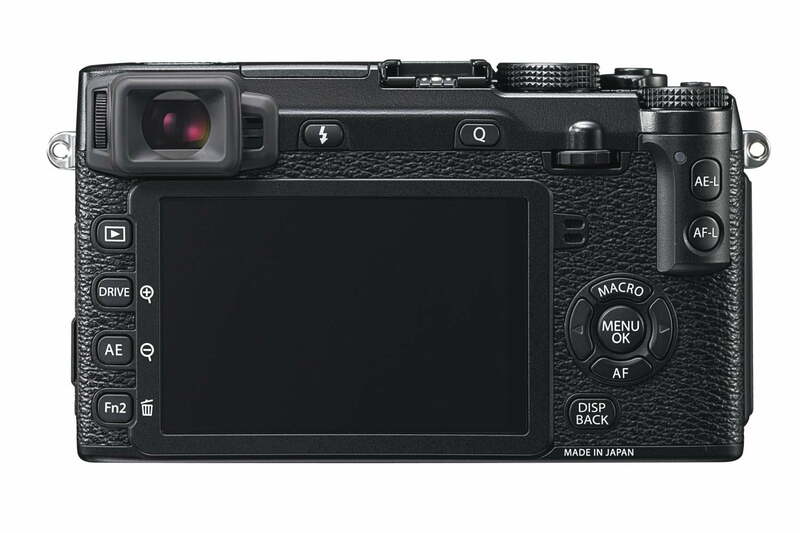 While the X-E2 resembles its predecessor, Fujifilm did redesign the button layout and added more user programmable buttons to make the camera more usable, based on feedback from users. The 3-inch LCD is also bigger and made of tempered glass. The X-E2 retains the 2.36-million-dot OLED viewfinder. Now with Wi-Fi, the X-E2 has a dedicated button to access wireless sharing with smart devices and computers. When paired with a smartphone or tablet, you can use the Fujifilm Camera Application for iOS or Android to upload to the Web, but there’s no option for remote control of the camera. Movie capture isn’t a particular strong point for Fujifilm, but the X-E2 shoots Full HD 1080 video at up to 60 frames per second. 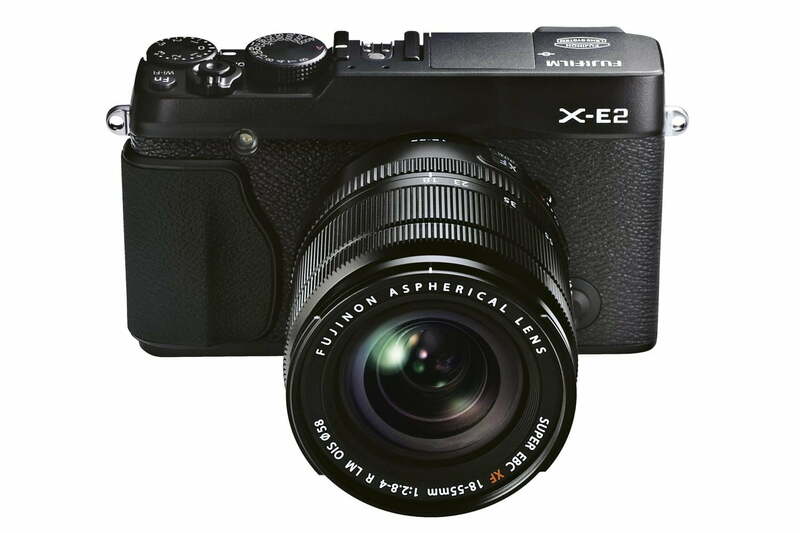 The X-E2 goes on sale in November for $1,000 (body only) in all-black or silver-and-black. It’s also available with an XF18mm-55mm (27-84mm) F2.8-4 kit lens for $1,400.